I’m not sure what GPM means – grams per meter? 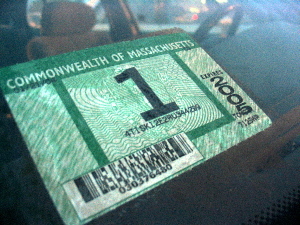 In any case, I guess it’s acceptable to the state of Massachusetts. This entry was posted in Life Near Boston on January 27, 2004 by Peter. The emissions look really good. Actually pretty close to meeting the current brand new car EPA standards which is highly impressive on an older car with that many miles. You can see the new Cat. working in the low NOx reading.